"George the Colonial," the mascot for George Washington University, is no more. Thanks to a recently completed referendum, the students at GWU have abolished their traditional mascot, apparently deeming him to be too offensive. "Goodbye George: GW Students Vote to 'Remove and Replace' Mascot"
That mascot, named "George the Colonial," is of course inspired by George Washington. It's only a matter of time before the students and administrators seek to rename George Washington University. Personally, I find the increasing political correctness sweeping our nation, especially academia, to be deeply offensive and distressing. That university students in today's America would find the founder of their country unworthy of gratitude and honor is something no American should be satisfied with. For more on this, see my Open Letter to GWU Students. Don't get me wrong. I don't mind holidays. Getting an extra day off work is great. But I like my holidays to mean something. The root words, after all, behind "holiday" are "holy day." Granted, we live now in a largely secular culture, so the adjective "holy" may seem off-putting to some. But the important point is that our holidays should mean something. They should stand for something. They should call our attention as American citizens to something worthwhile - something worth remembering, celebrating, and/or honoring. That is not really the case with "Presidents Day." Now, of course, this isn't the official name of the holiday. The United States government recognizes the third Monday of February by its legal name: George Washington's Birthday Observed. But legal technicalities are trumped by public discourse and popular consciousness. 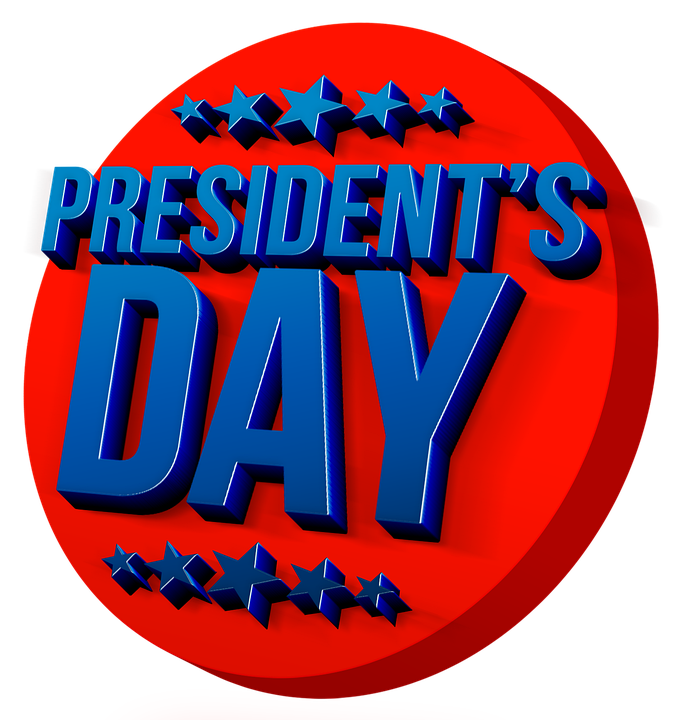 Most Americans know the holiday as "Presidents Day." And that is therefore effectively what they celebrate. These factors are responsible for Washington's Birthday holiday now being known as "Presidents' Day." But the effect has gone beyond the intent. The effect is that Americans now hear "Presidents" and not the names of Washington or Lincoln. They hear and say "Presidents Day," not "Washington-Lincoln Day." The effect of that is to essentially celebrate all our Presidents. Even if many graphic artists put Washington's face and Lincoln's face next to the words "Presidents Day," it merely serves to propagate the notion that Lincoln and Washington are kind of the "first and second among equals" rather than being the exclusive focus of the holiday. Most Americans of course don't reflect on the meaning behind any of the holidays. They just enjoy the extra day off. And businesses enjoy making extra money through sales and promotions. So even having this discussion is somewhat academic. Nevertheless, I can't let a "Presidents Day Weekend" go by without saying something about it. The very name "Presidents Day" showcases the vague and shallow identity that has befallen a holiday that was once quite intentional, meaningful, and worthwhile. Rather than honor the man who made the United States possible, we now - in effect - celebrate the legacies of all our "presidents," including such notables as Martin Van Buren, William Henry Harrison, John Tyler, Millard Fillmore, Franklin Pierce, James Buchanan, Andrew Johnson, and Warren G. Harding. But remember... George Washington's legacy extends beyond his accomplishments as President of the United States. Washington was a hero of the French and Indian War, an influential leader in Colonial America, the commander-in-chief of the Continental Army in the American Revolution, the president of the Constitutional Convention, and then the President of the United States. There's a reason most historians recognize him as "the indispensable man." Without Washington, it's hard to imagine the United States even getting off the ground. You of course may celebrate "Presidents Day Weekend" as you wish, but as for me... I will remember and be grateful for the man who made the United States of America possible. And the man who made all the other Presidents possible. It's ironic that George Washington must now share his holiday with the other 44 Presidents, but without Washington, none of the other 44 men ever would have been President in the first place. Happy George Washington Birthday Weekend! The Raab Collection, a Pennsylvania-based curator of historical documents and other artifacts, has announced the proposed sale of a letter penned by George Washington in which the future president invokes the blessings of deity upon the U.S. Constitution. The letter had been in the private collection of Paul Richards. 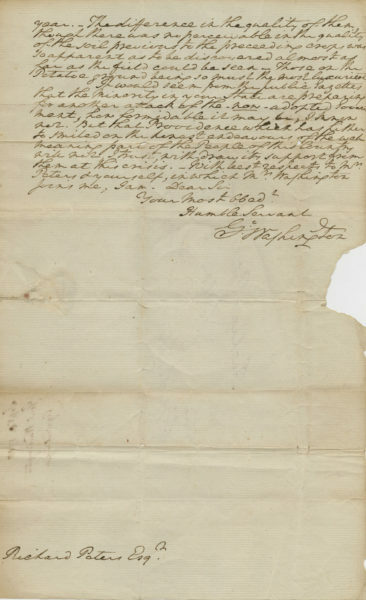 According to the Raab Collection, this September 7, 1788 correspondence to Richard Peters, speaker of the Pennsylvania General Assembly, is the first letter in which Washington thanks God for victory in the Revolution and passage of the U.S. Constitution. The purchase price is $140,000. Continued resistance to the Constitution was fomenting still at the time Washington communicated his thoughts to Speaker Peters. “It would seem from the public Gazettes that the Minority in your State are preparing for another attack of the–now–adopted Government; how formidable it may be; I know not. But that Providence which has hitherto smiled on the honest endeavors of the well meaning part of the People of this Country will not, I trust, withdraw its support from them at this crisis,” Washington writes. The three-page missive primarily addresses farming topics, but concludes abruptly with the above mention of the current political concerns. See the complete text here. “Mount Vernon notes that Washington’s use of the term ‘Providence’ to mean ‘Divine Providence,’ and the organization states thusly his theological beliefs: ‘It is clear that he believed in a Creator God of some manner, and seemingly one that was also active in the universe. This God had three main traits; he was wise, inscrutable, and irresistible. Washington referred to this God by many names, but most often by the name of ‘Providence,’” the Raab website reports. John Adams and the Trinity: Why should we care? Had you and I been forty days with Moses on Mount Sinai and admitted to behold, the divine Shekinah, and there told that one was three and three, one: we might not have had courage to deny it, but we could not have believed it. The thunders and lightenings and earthqu[ak]es and the transcendant splendors and glories, might have overwhelmed us with terror and amazement: but we could not have believed the doctrine. But why the "unitarian controversy" matters much to some people, I don't know. 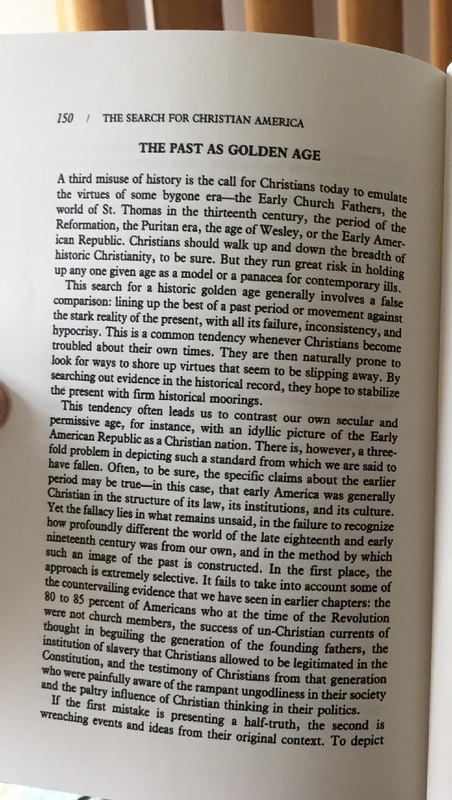 Samuel Adams, John's cousin and his virtual co-leader in the early days of the American Revolution, was a Trinitarian, and John and Sam's political theology differed not at all---whether you believed Jesus is God or not didn't make any difference. The other thing about John Adams' unitarianism is that it was expressed in private letters like these, after he left public life. 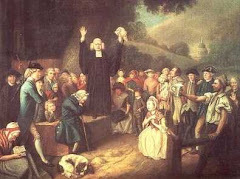 As a public man, as president, what did America know of John Adams' "unitarianism"? The answer is, little or nothing. 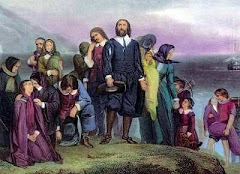 "I have therefore thought fit to recommend, and I do hereby recommend, that Wednesday, the 9th day of May next, be observed throughout the United States as a day of solemn humiliation, fasting, and prayer; that the citizens of these States, abstaining on that day from their customary worldly occupations, offer their devout addresses to the Father of Mercies agreeably to those forms or methods which they have severally adopted as the most suitable and becoming; that all religious congregations do, with the deepest humility, acknowledge before God the manifold sins and transgressions with which we are justly chargeable as individuals and as a nation, beseeching Him at the same time, of His infinite grace, through the Redeemer of the World, freely to remit all our offenses, and to incline us by His Holy Spirit to that sincere repentance and reformation which may afford us reason to hope for his inestimable favor and heavenly benediction..."
Bold face mine. As we see, the Father is in there, Jesus is still the "Redeemer," and the existence of the Holy Spirit is acknowledged, not denied. The Trinitarian formulation. 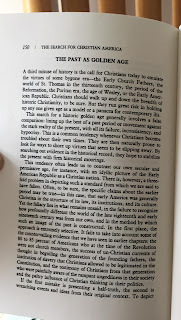 Most people, whether in 1798 or in 2019, would read President Adams' proclamation as explicitly "Christian," explicitly in harmony with Christian orthodoxy. What John Adams believed in private is of some interest, but it is of little importance. These days, we use the term "Judeo-Christian" specifically to dispose of the question of whether Jesus is God or not anyway. And as we see here, in public, President John Adams comes off as more Christian than that minimum, not less. 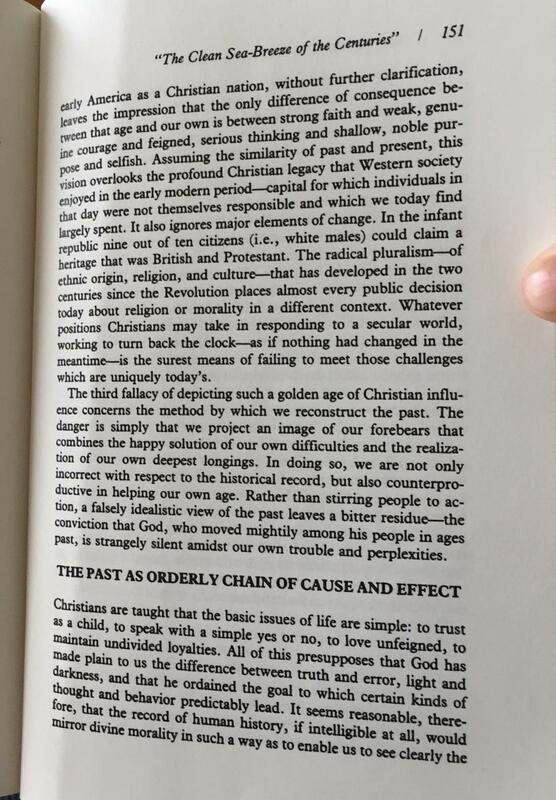 Missing from the current "happy face" reporting on new congresspersons swearing in on "Jefferson's Qur'an" is that his 1734 translation by George Sale is accompanied by a preface that is highly critical of Islam as serious religion. So the front page of the very "Jefferson Qur'an" these folks are swearing upon calls its contents "false doctrine" mixed with some truth. The irony is complete. And so it goes also in our current world of "news": We may get the truth, but seldom the whole truth. 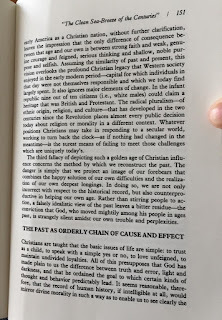 Full text here, courtesy of Gutenberg.org.